Great work! 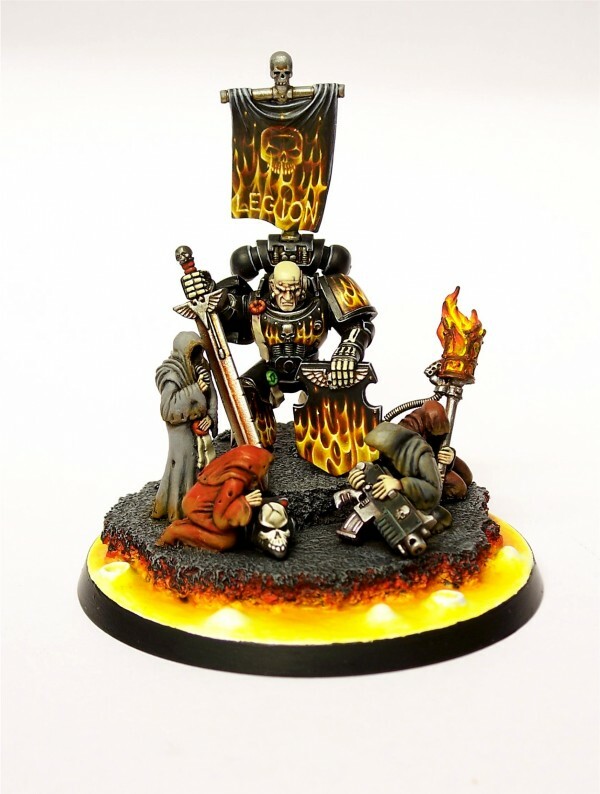 Would you please consider posting a tutorial on how to paint flames like this? Perfect freehands (flames), great lava, just beautiful! Awesome mini-diorama! All your LotD models are supreme level. I like the different colors of the robes for the servitors, it was either that or having them all with a ghostly shroud-like color (which would have been monotonous). 1st impression: WOW!falems&bones. . 2nd: these minis have some weaknesses...you should improve that because they look just wonderful!!. EG. :Serves painted very flat, face, one seal in red, the other in green? why? botch green would be a perfect focus to the mein miniature. That just awesome, i even can't say anything else. Godlike! Really great job! flames and lava are awesome!